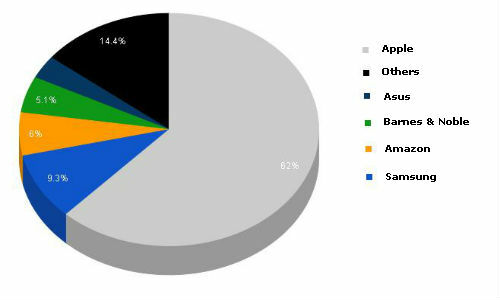 Microsoft Surface challenging Apple iPad, who won???? Microsoft on Monday released its Microsoft Surface a Widows 8 tablet. No doubt its look & feel is good but still its various hardware specs are still unknown. Surface available in 2 designs: Windows RT & Windows 8 Pro. And its but obvious that latter one is of high price. But even with out all details Microsoft product gives a competion to tablets, lets see does Microsoft can win with Apple Ipad. If we compare both in terms of accessories we find Microsoft revealed its candy-colored touch & type cover. Apple offered new Smart case & 300,000 apps with Camera fully HD. Also Apple iPad offers Retina Display that gives a mind blowing display that attract most of users. Also you can see whole specs of apple ipad & its price..
About tablet share market you can see a graph Apple sharing 62% of the market. Would Microsoft able to compete with the Apple Ipad?? A big question behind this??? 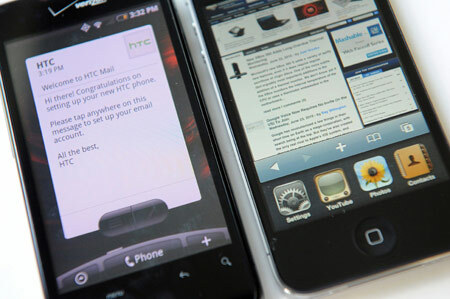 Apple has no worry with launch of HTC Droid 4G on 21 June. With HTC various new features but it can’t compete Apple in its Brand name. The Siri & ios have no competition all over with any phone device. The main feature of any phone is its memory. Apple offers 16 GB of memory & you can enjoy lot many apps with this while for Incredible only 512 Mb & they need 3rd party solution for upgradation. 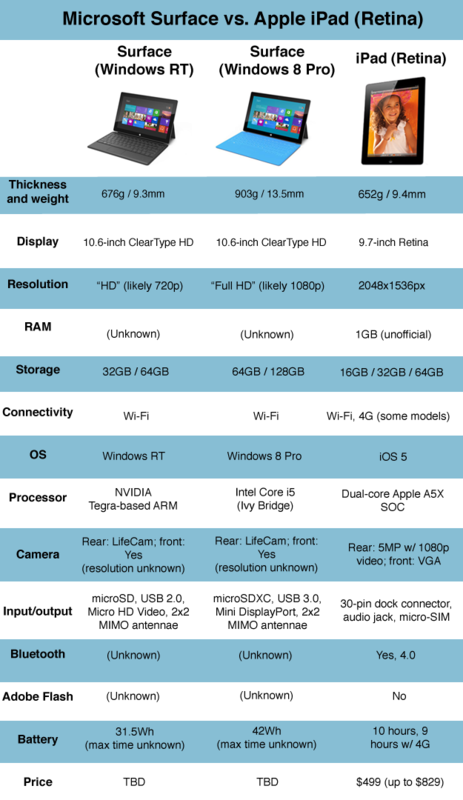 Here is a list of specifications that make iPhone 4s a unique phone. Apple offers CDMA/GSM/AT & T services while Incredible CDMA. If you have to travel to other country CDMA doesnot supported everywhere. In that case but obvious Apple wins. 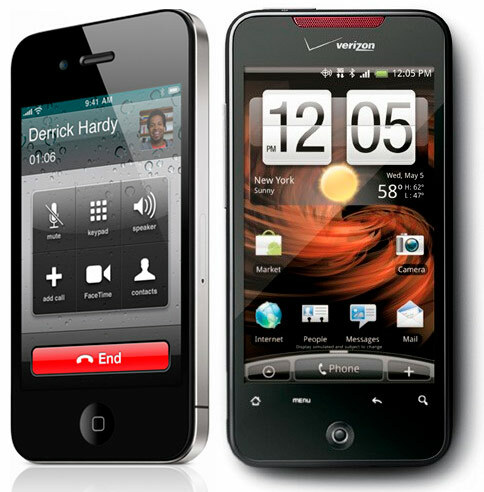 Give your reviews about these smartphones & for iPhone 4s vs Nokia 808 click here!!!! 5 best summer Smart Phones for you!!! As summers are on heights it’s the time to have an experience with your best Smart Phone. Whether you are an iPhone lover, android, Nokia, Windows Iphone there is something pretty for you all. These are the best ever smart phones yet. Each smart phone has its own specific feature that keeps them unique from others. This article helps you to choose a better option whether you are searching for business, fun or photography. 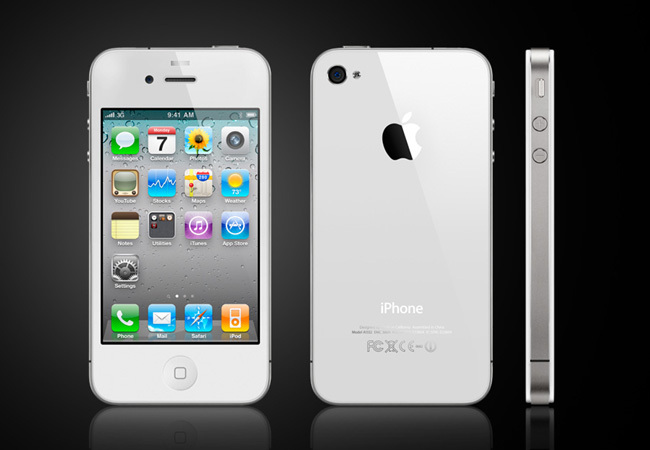 *Iphone 4s: Despite of its launch last year this is an appropriate smart phone for Business persons & best platform for newest app. The suffix s at the end reveals that this smart phone gets its complete hardware up date. Its iCloud is a best feature in this. Siri makes this unique. 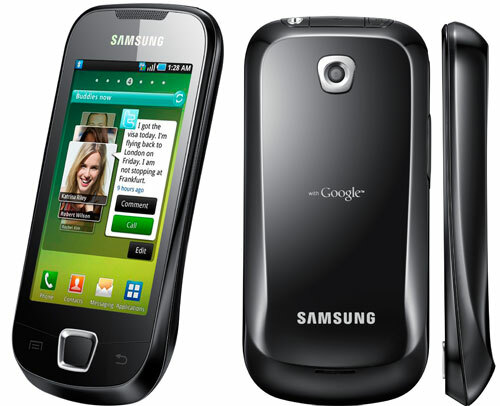 *Samsung Galaxy SIII: One of sleekest design phone having human friendly features. You can control this phone with voice like you can schedule events, send text or play songs. For customers who need bigger display you can choose s3. 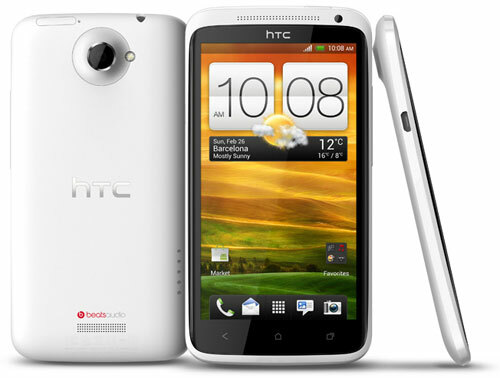 *HTC One X: Leader of HTC one line this smart phone has impressive display. This phone is best suited for media related tasks. The phone incorporates updated hardware, Android 4.0 operating system & better specifications. It have 8 Mp rear camera with LED display. Processor: 1.5 GHz quad core processor. 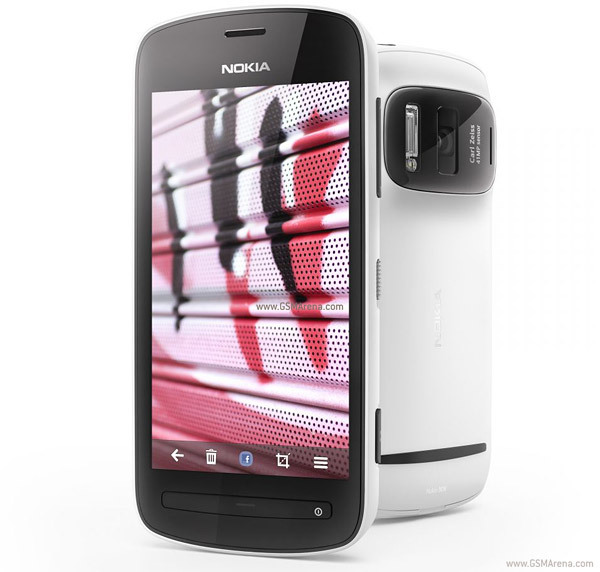 *Nokia 808: The most imp & best feature of Nokia includes its 41 Mp camera. The picture quality of this is awesome. It won “Best New Mobile Handset” award at Mobile World Congress. It also allows pixels sampling. 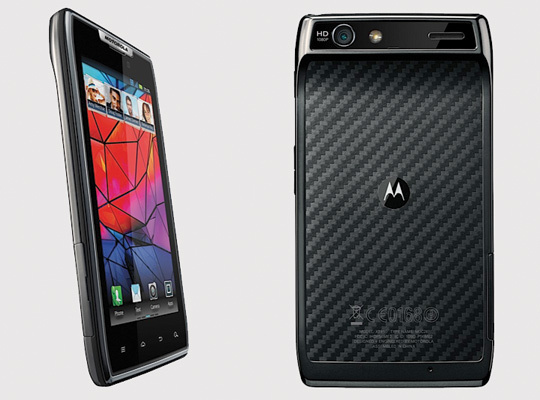 *Motorola Droid Razr: One of the thinnest smart phones ever. The best feature in this is its best battery life of 3300 Mah. It’s the max selling phone at Verizon Wireless of quarter. Con: micro USB port poorly packed. Processor: 1.2 GHz Dual Core CP. Vote for your best smart phone.